Painting your floors can be a creative way of remodeling your home. However, there are some precautionary measures to take for this DIY home improvement. To paint or not to paint your floor is a good question to ask yourself. 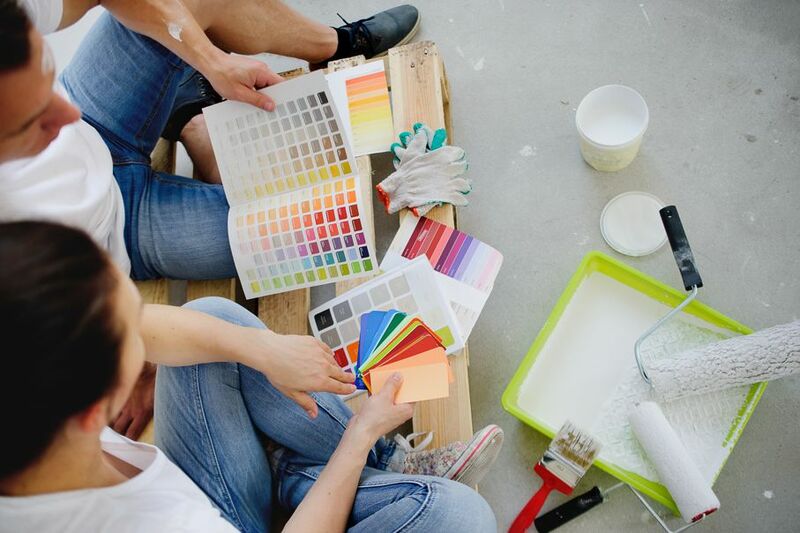 When exploring ways of energizing, updating, and renovating your home, painting your floors can be a manageable and affordable upgrade. Like many home improvements, it requires research and careful planning. Not all floors are primed for paint - no pun intended! A beautiful floor that's painted poorly can ruin a the entire room, however if done properly, it can make a huge, positive difference. Before casting your decision, consider the pros and cons of painting your floor. It can be smart and beneficial, but it is important to be aware of all possible outcomes. Evaluate your floor, carefully noting the wear and tear that might be present. Floors in need of a paint job come in all different styles and materials. If you were hoping for a set formula to guide you through this process, think again. This paint job requires common sense while applying generic tips and basic information to your particular flooring situation. Before you paint a floor, test it to gauge its porous properties. Wood floors occasionally have too many cracks and pores to hold a good coat of paint. Concrete floors may be too moist for a coat to stick well. Testing for porosity and moisture is essential when preparing to paint your floor. 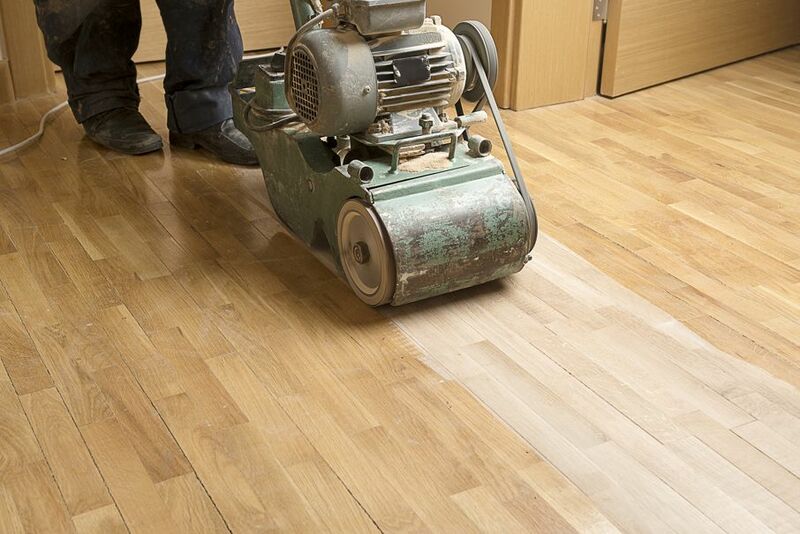 The next step when prepping your floor is to sand. 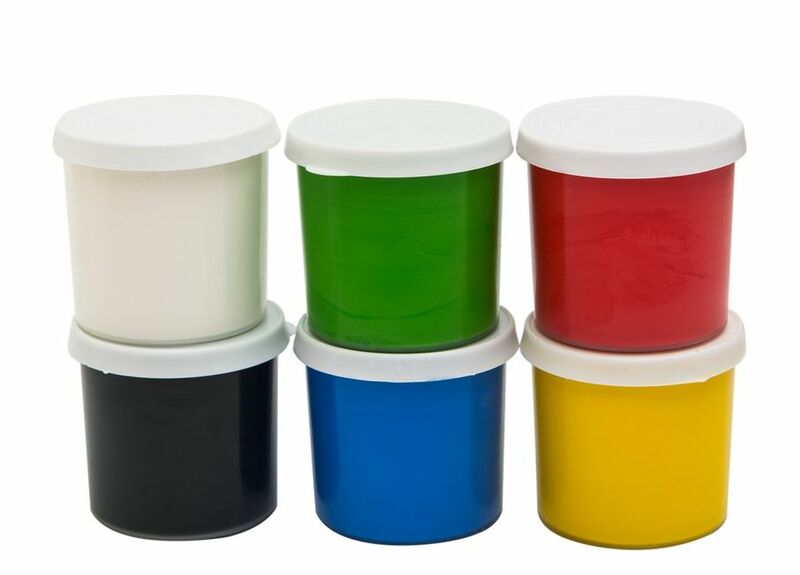 It will help to create small grooves and ridges where paint can stick to your floor. After you sand, clean the area with an anti-toxin compound to eliminate contaminants. If your flooring was installed before the 1970s, you may have to deal with lead. In this case, anything you sand will need to be tested for lead before you start painting. It sounds tedious, but you must make sure your floor paint will not adversely affect the atmosphere of your home. Always hire a professional if you're not sure you can do it safely and properly. Once you have completed your prep regimen, the painting can begin! At this point, you will be officially dedicated to completing this DIY home improvement project. Some people are discouraged by the amount of prep paint a floor takes. After they read the steps and complications involved, a simpler, more straightforward option seems inviting. The preparation required when painting a floor should not be discouraging. You just need to be aware of the necessary work and be prepared handle each step thoroughly. If this isn't possible, then consider alternate renovations. 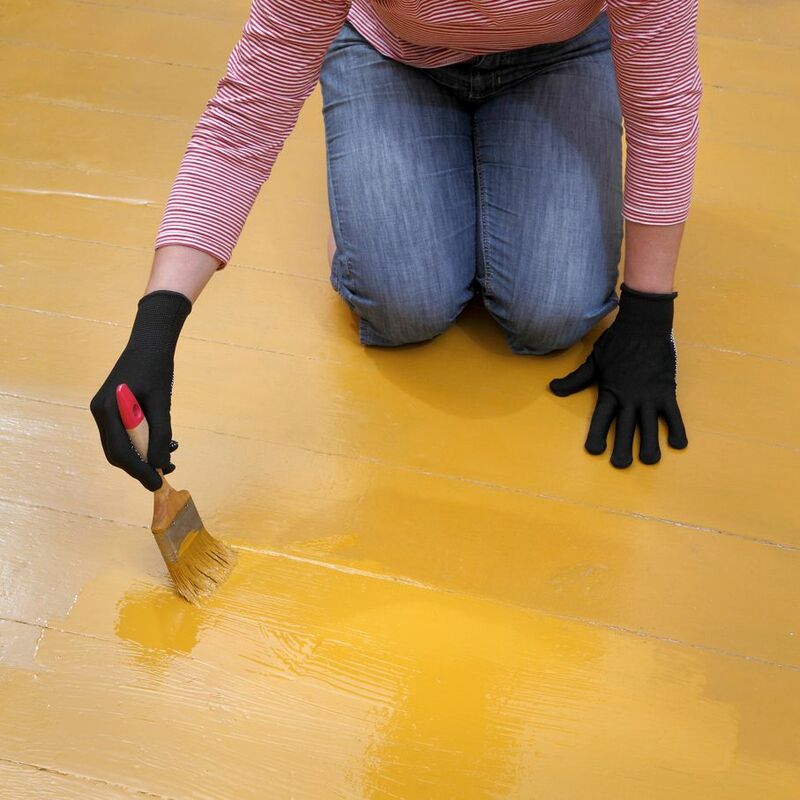 Preparation is important when painting your floor, but the central question is how the paint will look. Paint must be sealed. The most durable sealants have glossy finishes and may need a protective topcoat before complete. If you do not want a glossy finish on your floor, painting it may not be the best option. Living arrangements are another consideration to make when painting your floors. A painted floor may need months of curing time. If you stay at home during this period, take precautions to guard against the odors and fumes. These are particularly pungent when painting your floor due to the type of paint you will use. The best paints for floors are oil-based. Oils stand up well to foot traffic, seep deep into most flooring materials, and are designed to withstand years of heavy wear-and-tear. Once again, the decision comes down to what you are able to endure. Plan living arrangements before you start painting your floors, and if it's not available for you to leave your home, find ways to avoid the odors from the paint. When painting a large area, mistakes are hard to correct. Some people have saved a bad floor paint job by coving it up with furniture or rugs, but this still leaves the ugly color behind when the house is empty and you’re trying to sell. Test your color choices! 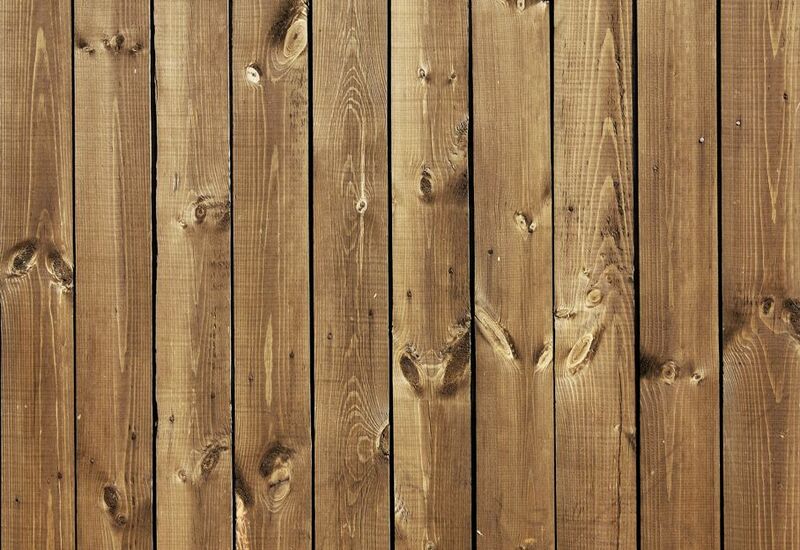 Once you have decided on a color, paint a large panel of scrap wood or plywood to see how it looks in the room dry. 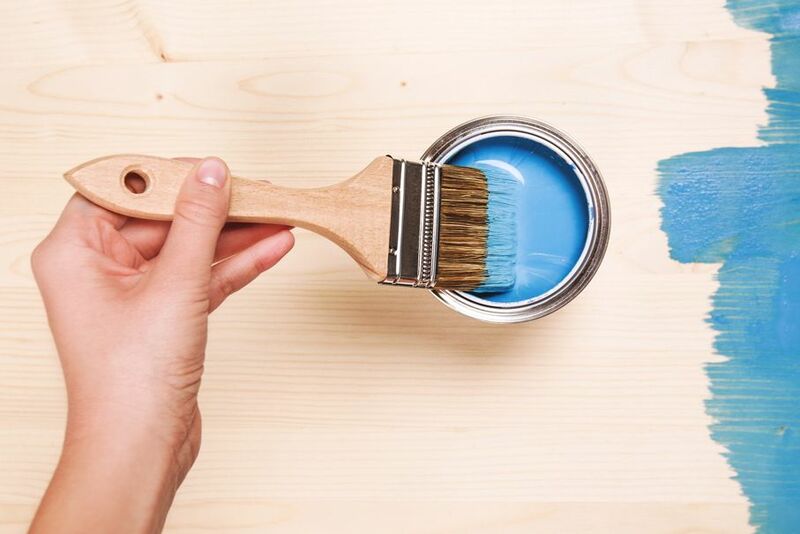 Painting your floor is a big undertaking, and this minor step can be the difference between an effective renovation and an embarrassing change. Painting your floor can turn your house around by giving your room a facelift with bright new colors or a fresh natural stain. In recent years, interior designers advise painting floors the same color as walls for a unique artisan effect. Others add stencil checkerboards and floor designs for extra fun. Painting a floor is a big adjustment. Be aware of the time each detailed step involves before you commit. If you can abide the work and inconveniences, paint away!